James A. Cuthbertson based in South Lanarkshire manufacture snowploughs, snow blowers, spreaders and other custom built equipment. They needed a website to showcase their products in way that was easy and attractive to use. Their range of products is wide and varied so our challenge was to convey a large amount of information in way that wasn't overwhelming. To achieve this, information is layered within a careful hierarchy. 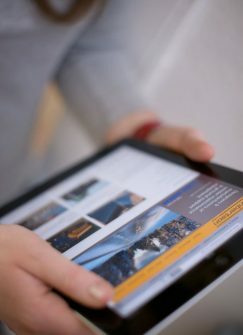 Our "content management system" was diligently integrated so the client can change all product information, add pdf files, pictures, news items, sale items amongst other facilities..
As with all our sites, we built in "analytical" features with a weekly report sent to the client detailing visitor numbers, how the site was found and other things. We are always amused by the huge visitor peaks at the first flurry of snow! 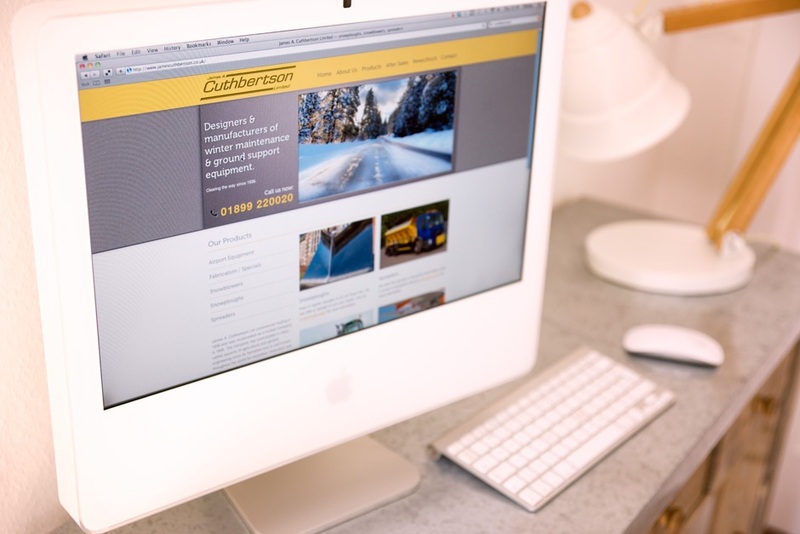 Our original website had been around for a while and was in need of major overhaul. The project had been sitting on the back burner for some time (as these things do!!) when a colleague brought Tigerchick to my attention. When I met Michael and Jenny for our first meeting, I was impressed with their professional, yet friendly manner as we discussed ideas for the new site. They set about the task of redesigning our website by firstly understanding our business, the market sectors we were in and getting to know our product line. In the subsequent meetings, held to define the final layout for the site, I found Michael and Jenny to be creative in their ideas but always with an ear for the clients’ requirements. 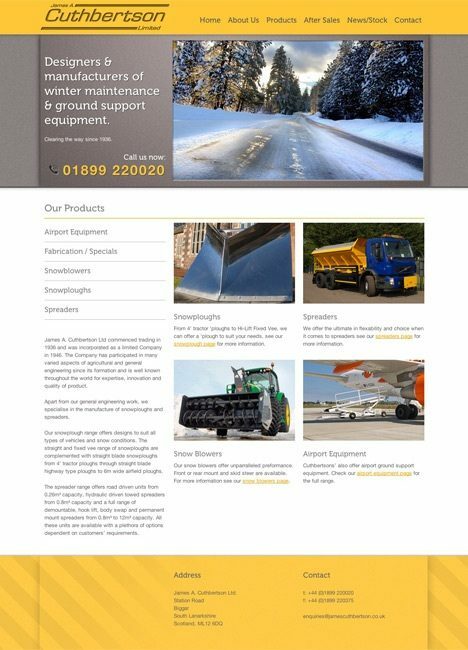 I’m delighted with the website that Tigerchick have built for James A. Cuthbertson Ltd. The site is well laid out, easy to navigate and customer friendly. Since launching the site we have found that enquiries through the website have increased significantly and I can only attribute that to the new website. I can’t recommend Tigerchick highly enough.